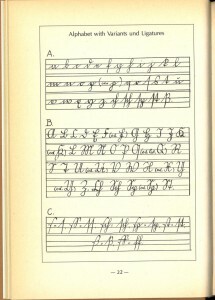 First two images from Fritz Verdenhalven, Die Deutsche Schrift (The German Script) (Neustadt an der Aisch, Germany: Degener, 1991). An article linked from The Weekly Genealogist had me thinking about how to conduct research in unfamiliar languages. I will soon receive eight microfilm reels containing German Catholic church records. 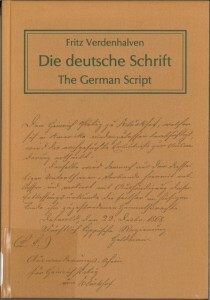 The contents will be recorded in Latin, but key information could appear in German script. Sometimes it melds together to the point I’ve completely forgotten which language I am reading. For the most part, church, and vital records adhere to a template, so even those of us who do not know the language can parse out facts pertinent to our ancestors. The key to accomplishing this feat lies in referring to guides to the language and/or records. 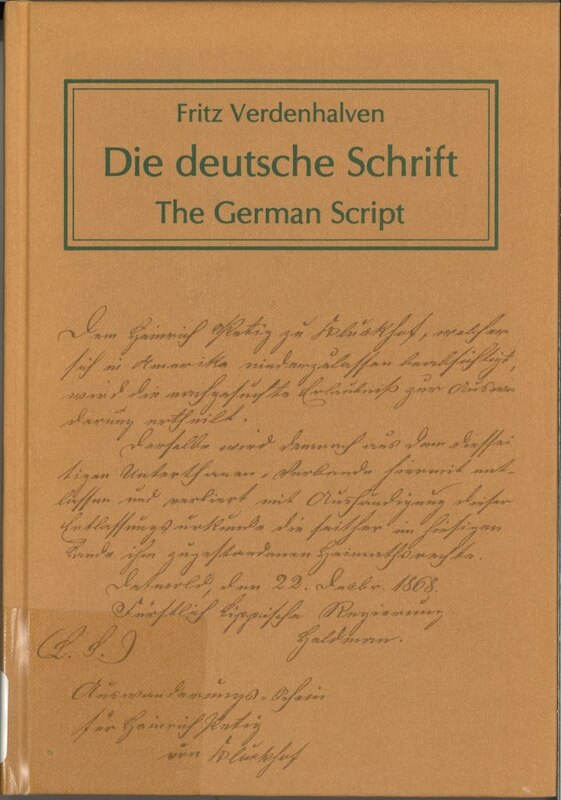 To help, Rhonda McClure has created a guide to German research for us. Some institutions post online translation tips and vocabulary lists. Brigham Young University offers some great script tutorials, and the FamilySearch wiki features a variety of language aids. Although I can piece together translations, I have often considered enhancing my knowledge of the language beyond the basics I learned in middle school. Luckily, in this modern era, technology makes it possible to do so quickly, easily, and even for free. Typing “learn German” into the iTunes App Store produced over 900 options (with a full third being free to download). Most seem to offer a variety of learning tools including flash cards, audio translations, games, and quizzes. Similarly, there seem to be no end to the online courses available. With a firmer grasp on the language, there are even classes specifically geared towards scholarly reading and academic research, like those offered at the Goethe Institute here in Boston. Record of births for Johannes and Michael Müller, 1764-1765. Mss A 3700, R. Stanton Avery Special Collections, NEHGS. There doesn’t seem to be anything stopping us from learning a new language (or languages) these days. The only real trouble is going to be deciding which one to choose. Although German would be more useful for my current research project, some of the learning Swedish apps also look interesting. At this rate, I’ll be a polyglot in no time! When faced with trying to contact someone and/or a church in Canada I resorted to using the Goggle translation helper and typed my request in English in the left side block and then the French translation came up in the right hand block. Then it was just a matter of copy and paste into my e-mail inquiry message. I also did the same for another query and then printed out both versions and mailed them to a person. Worked out pretty easily. 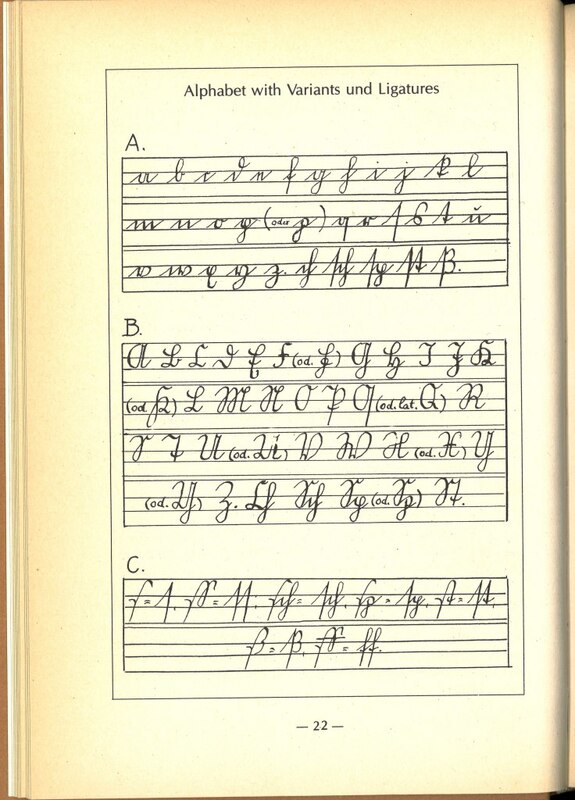 I would like to learn 17th century Dutch. My college French helps me a lot with French Canadian records, though I was not familiar with the word “feu” except as the word for fire. Once I learned it can also mean “deceased” the records made more sense!